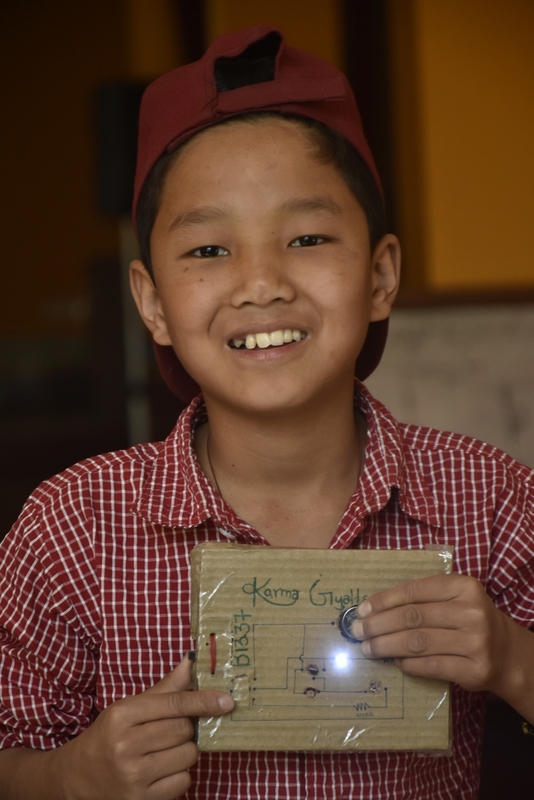 HMG students demonstrate their completed night-light circuits to teachers and classmates. 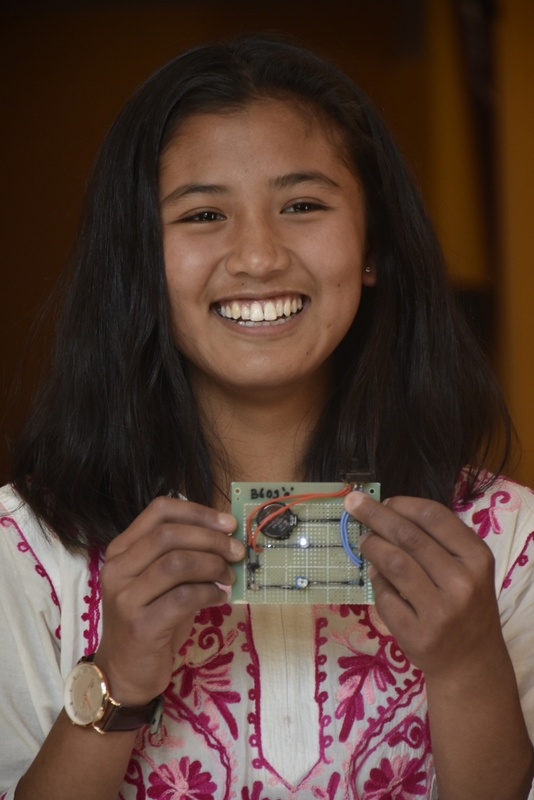 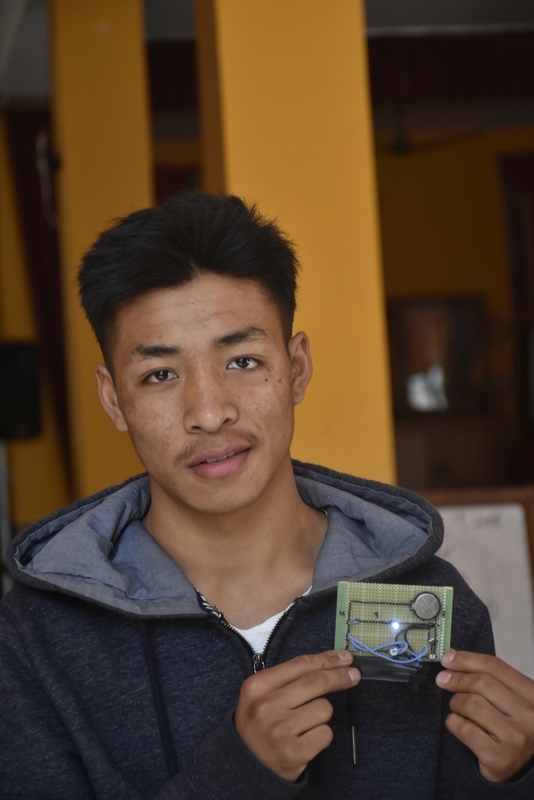 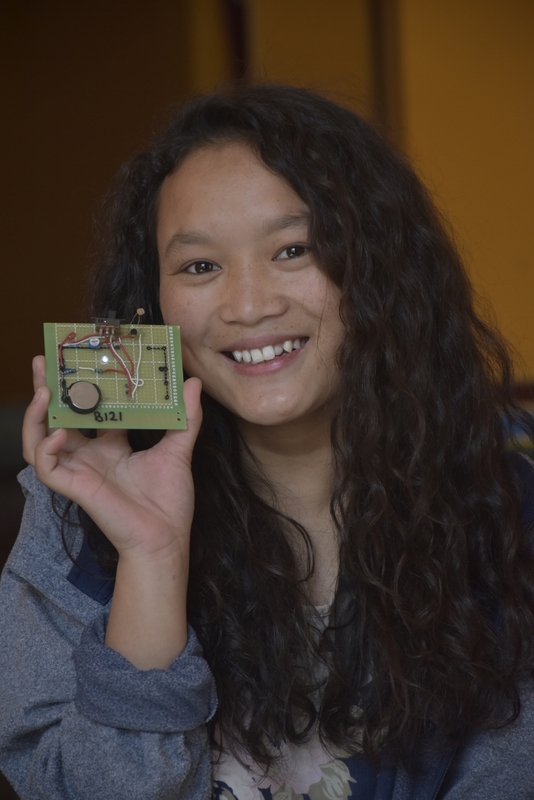 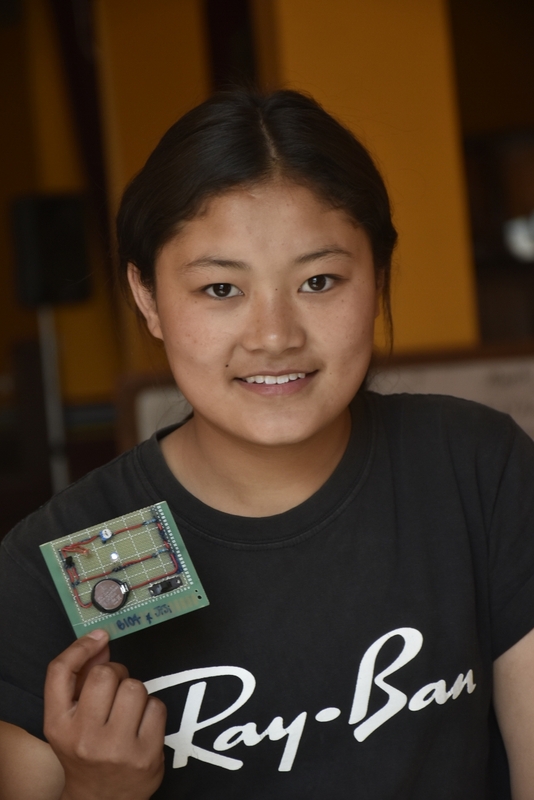 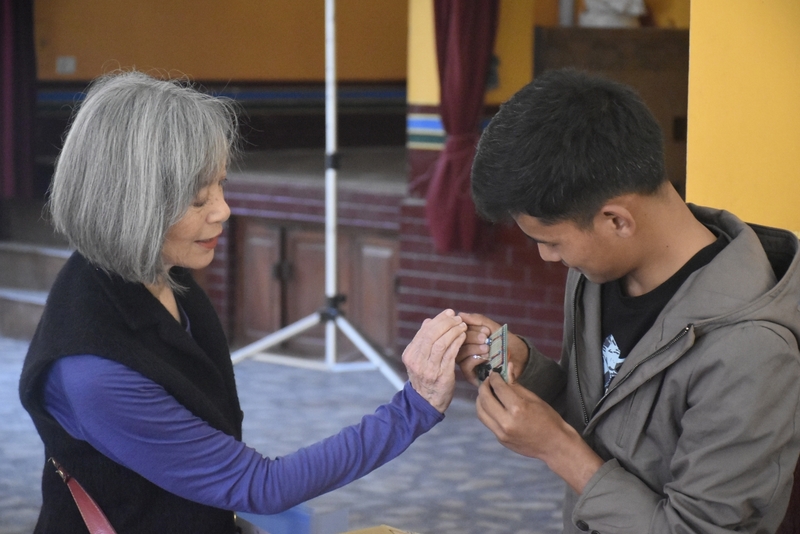 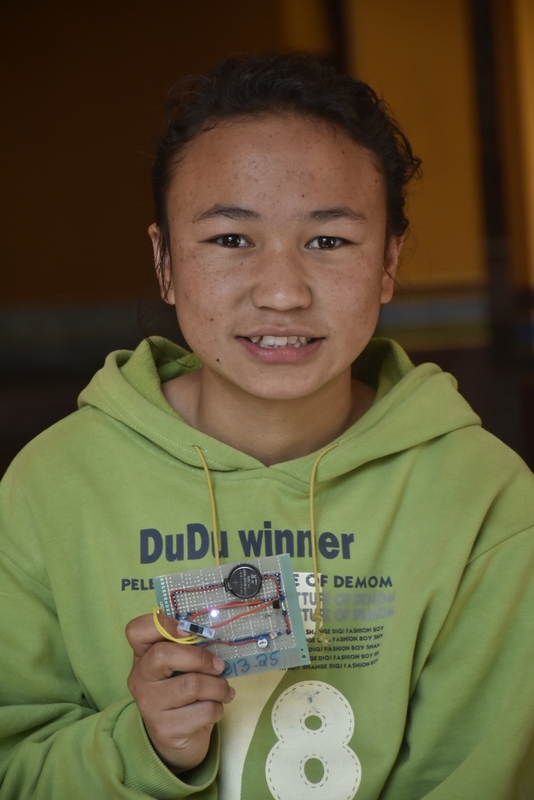 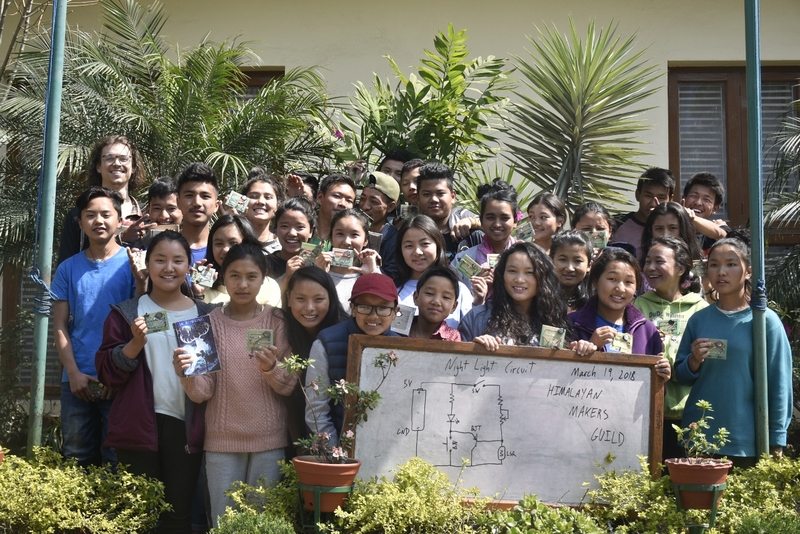 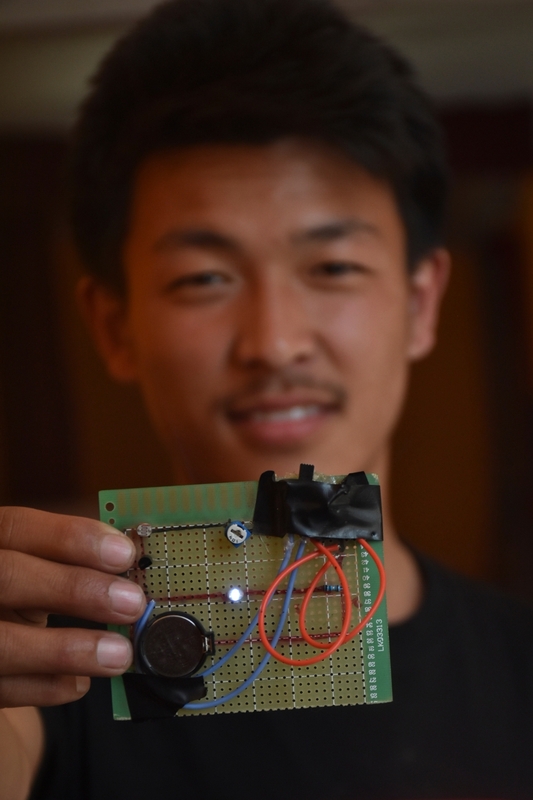 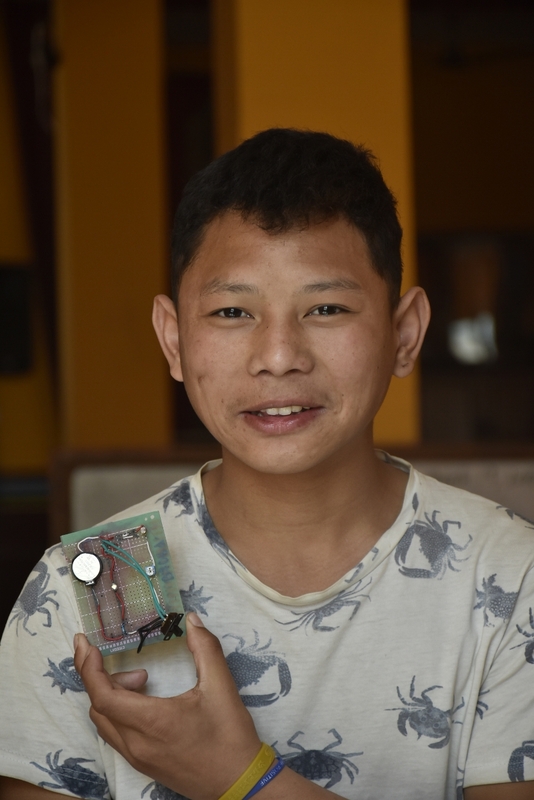 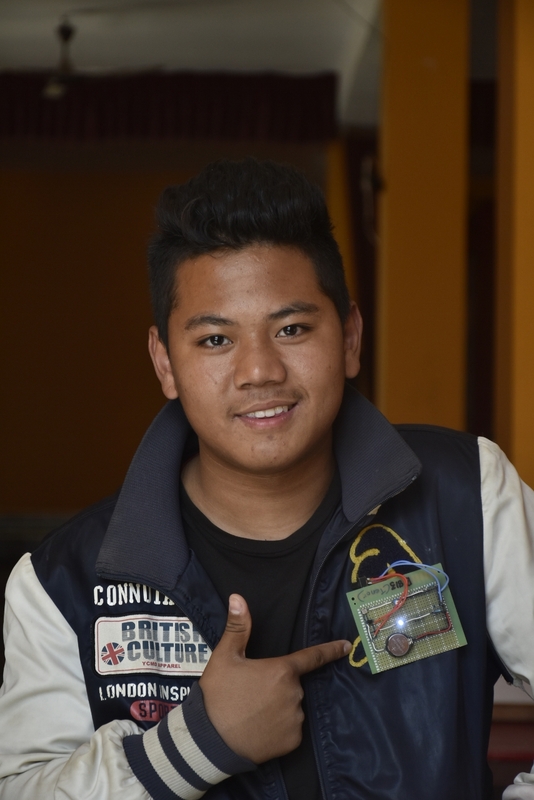 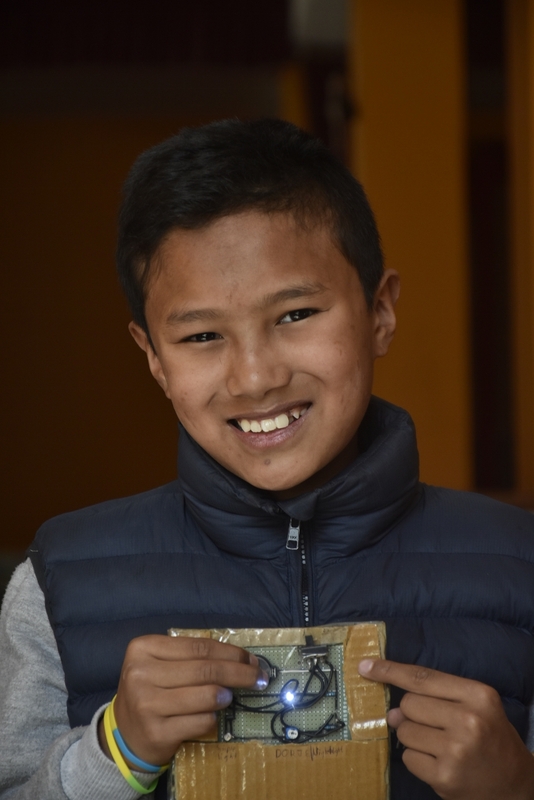 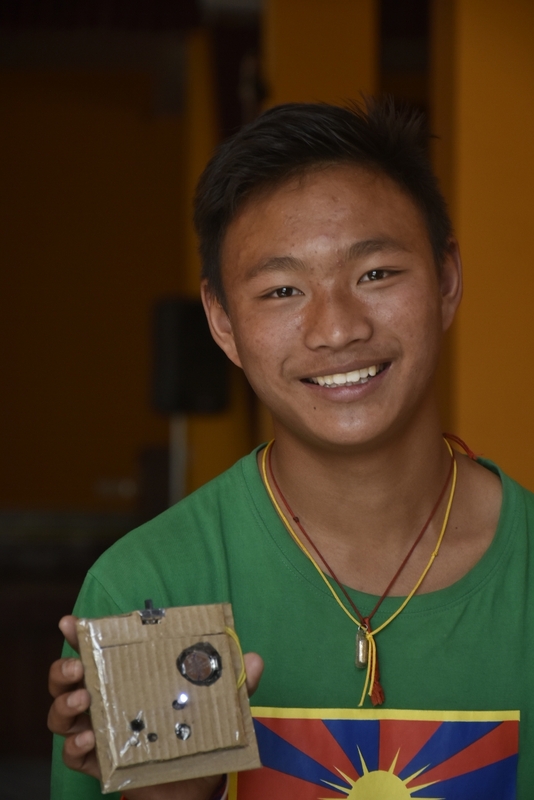 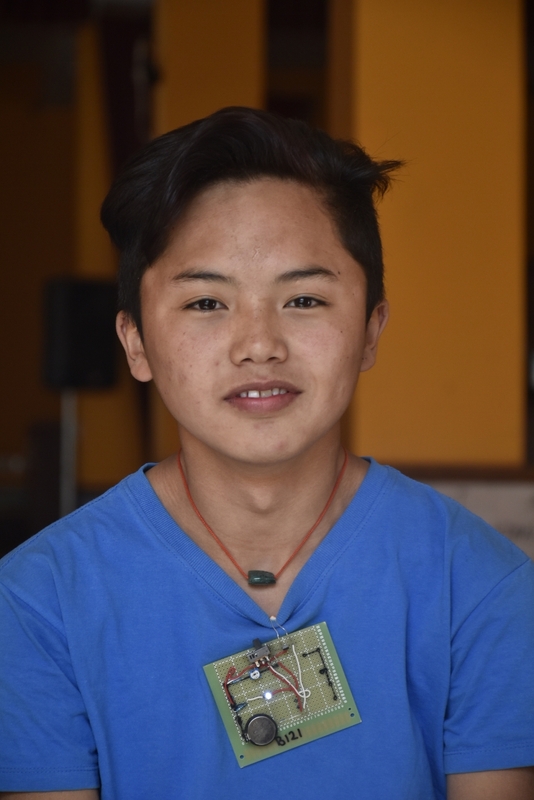 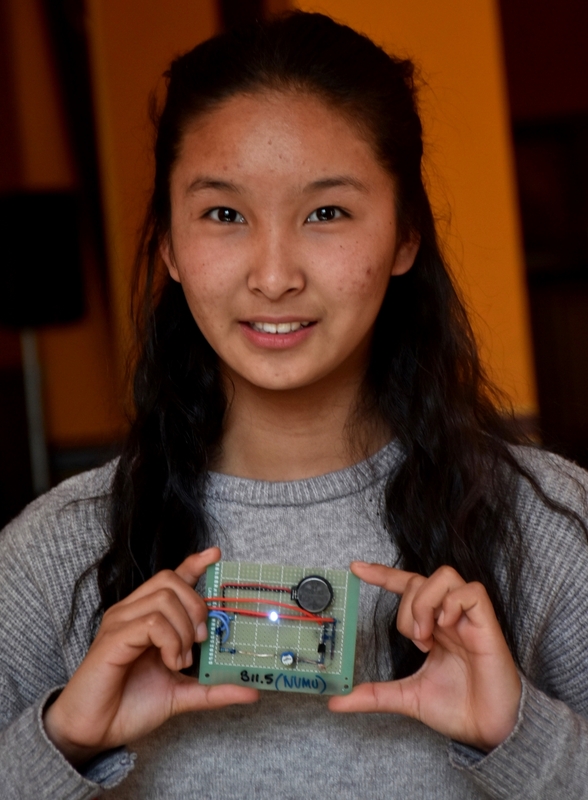 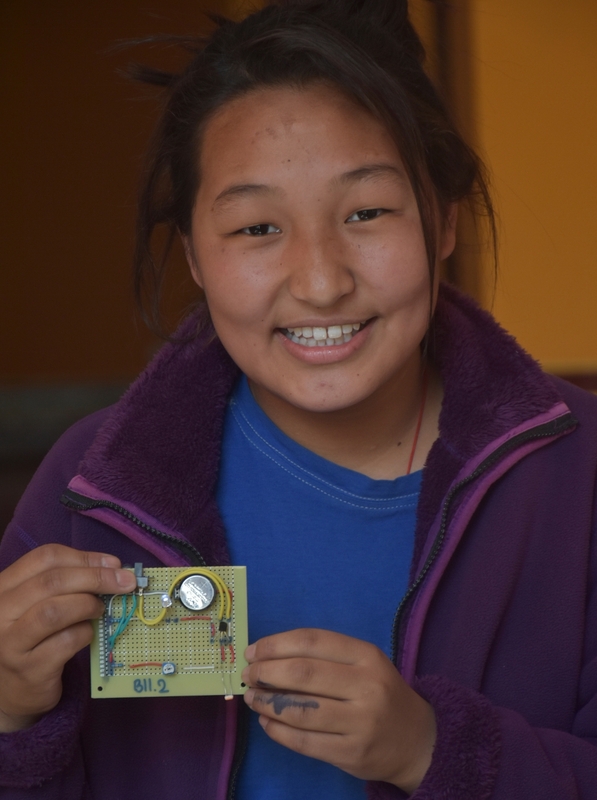 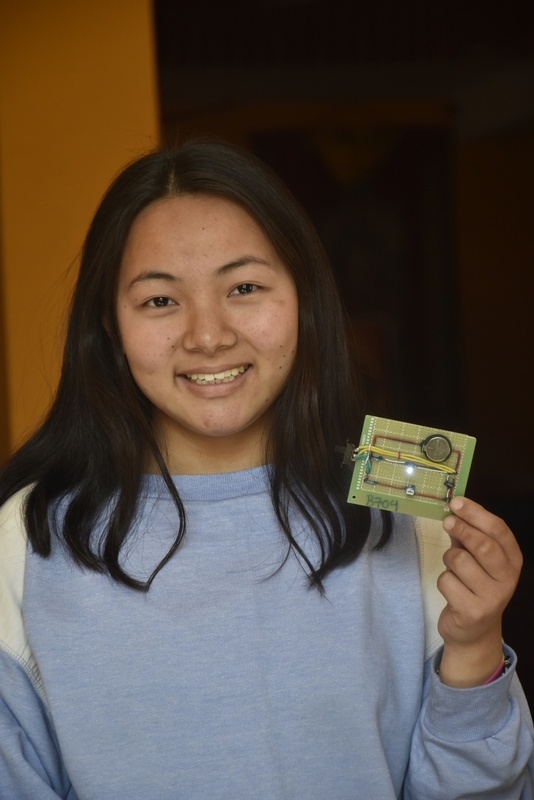 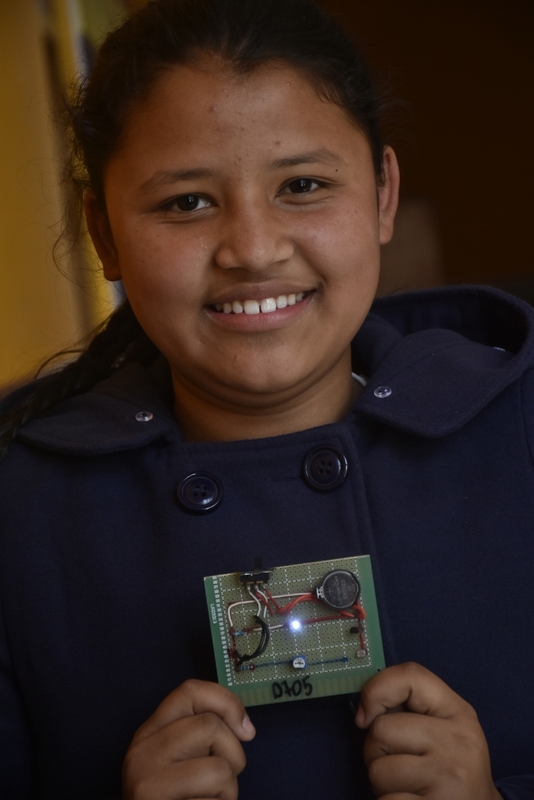 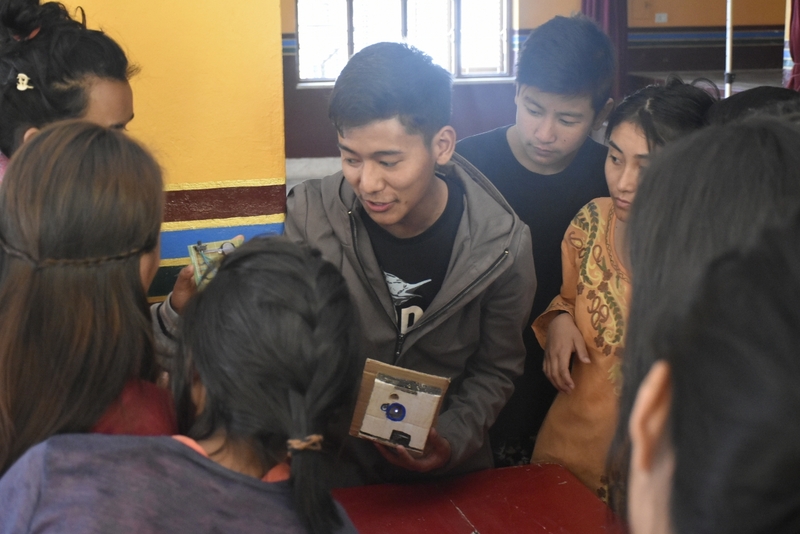 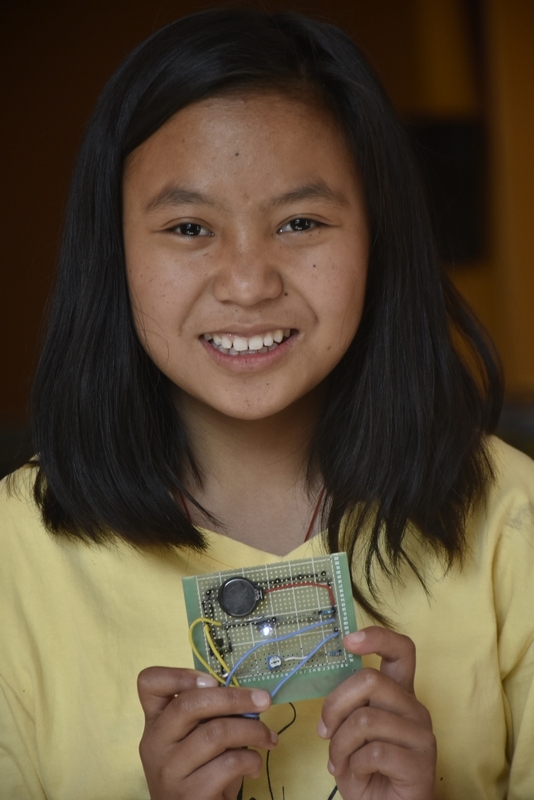 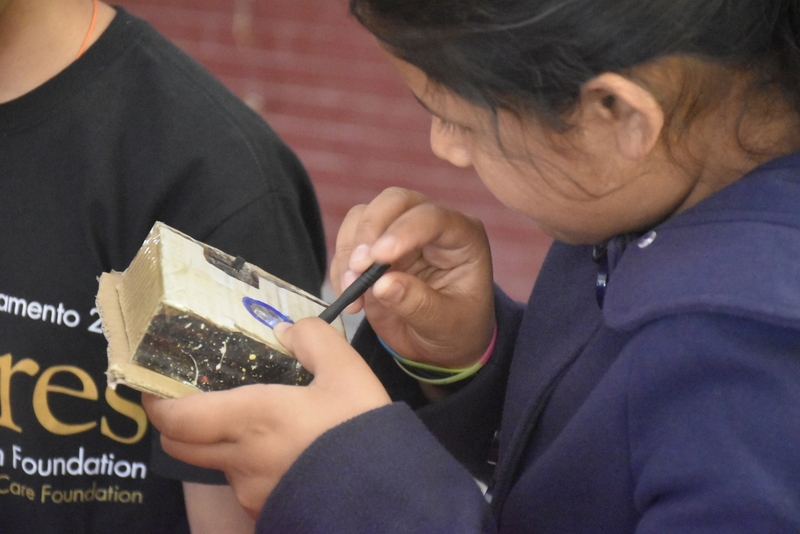 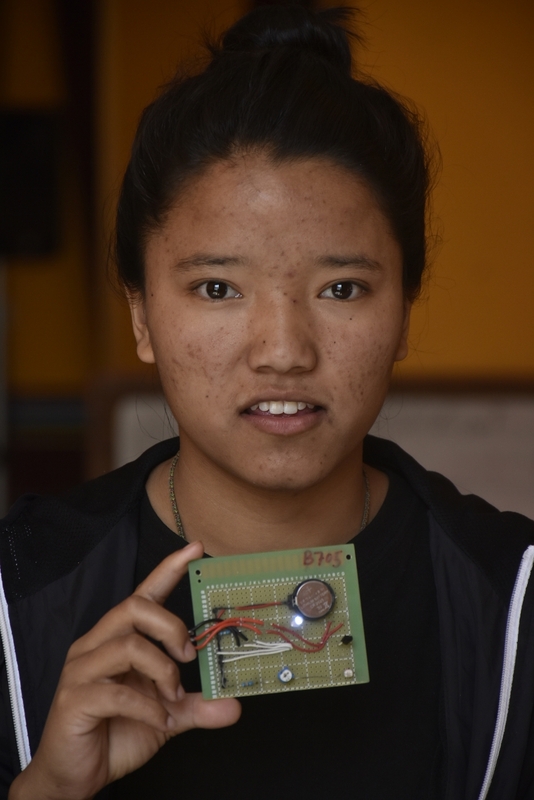 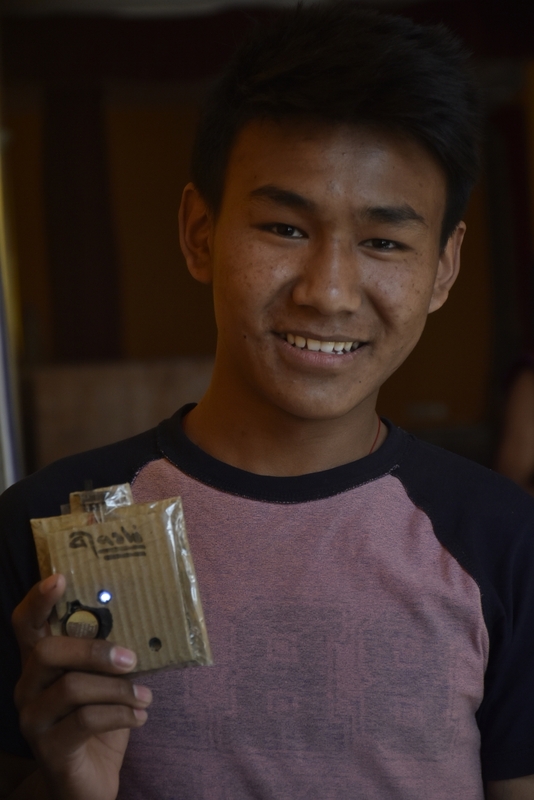 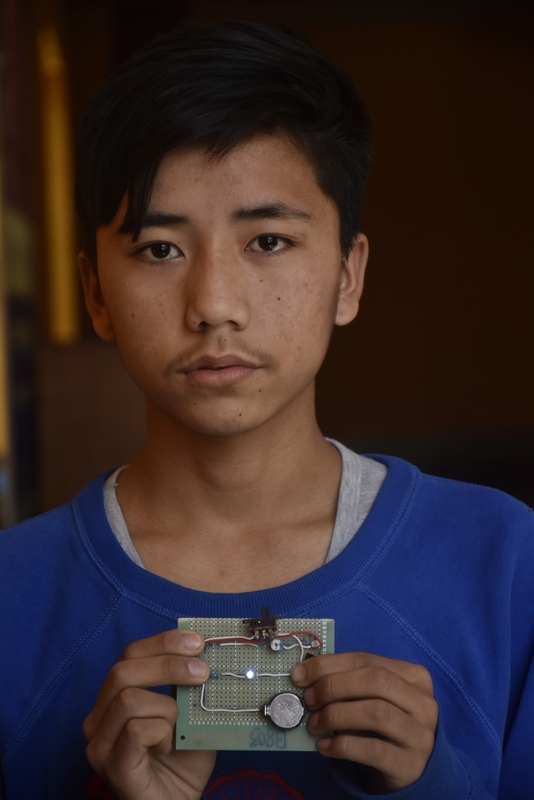 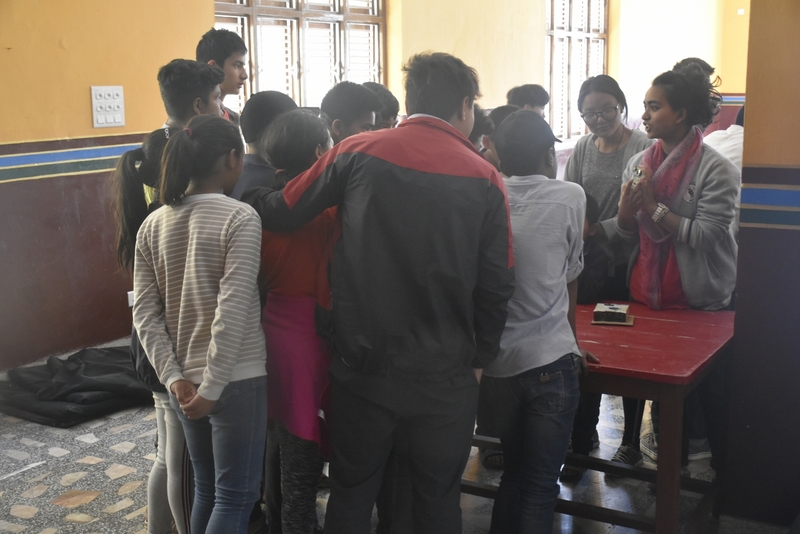 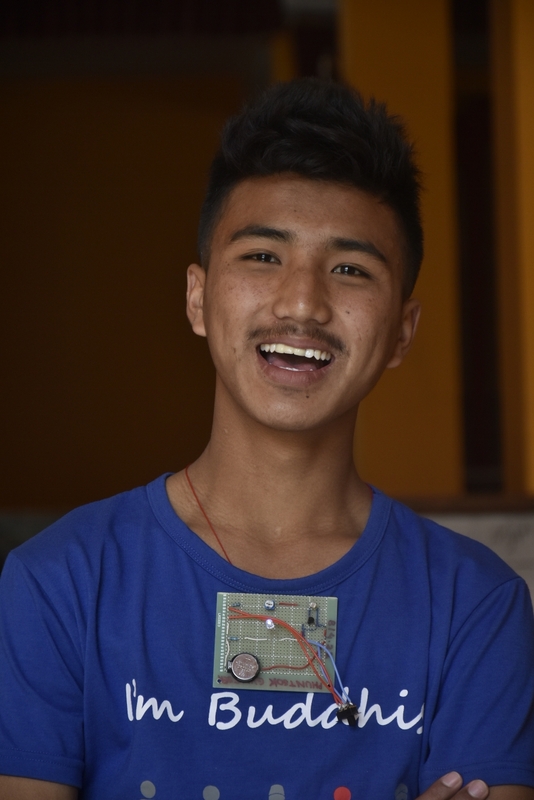 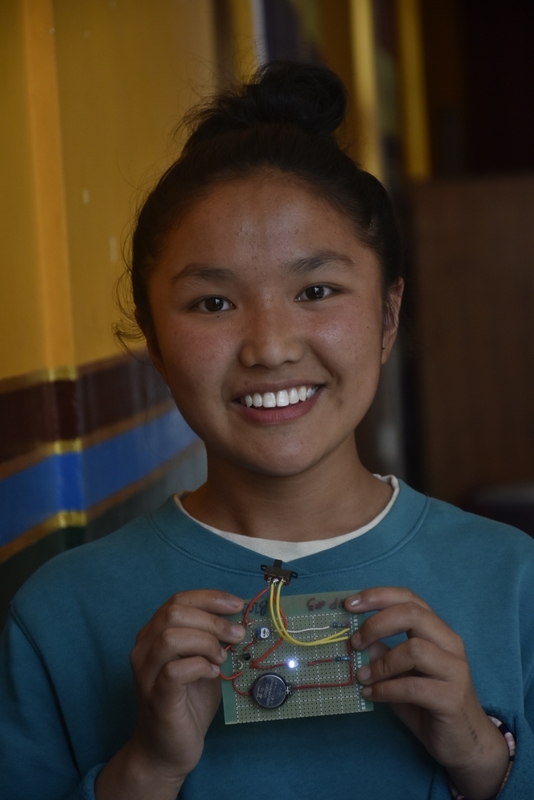 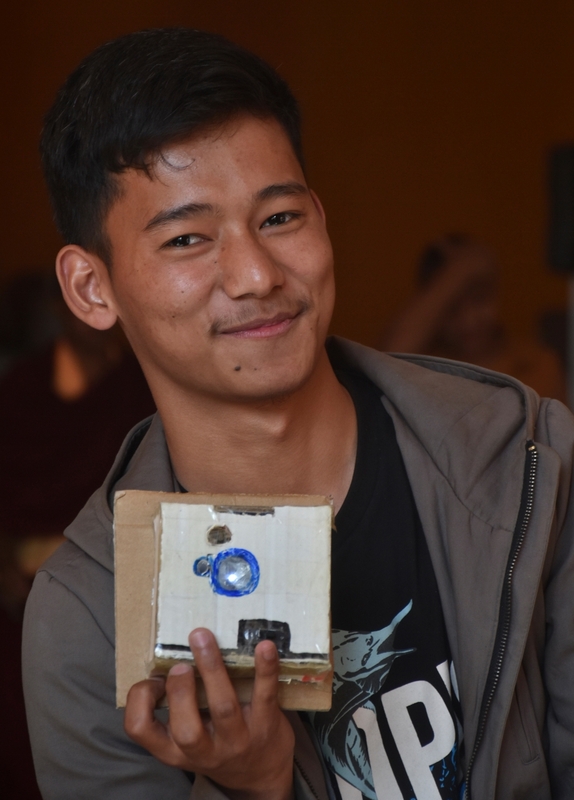 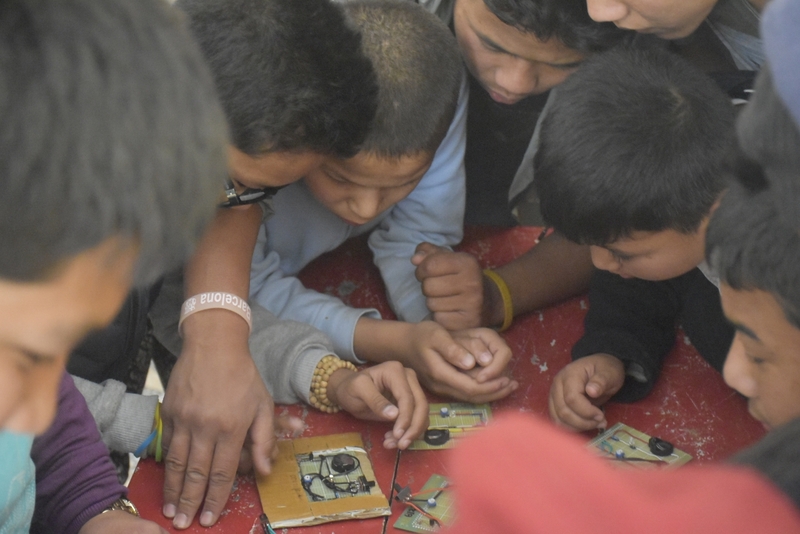 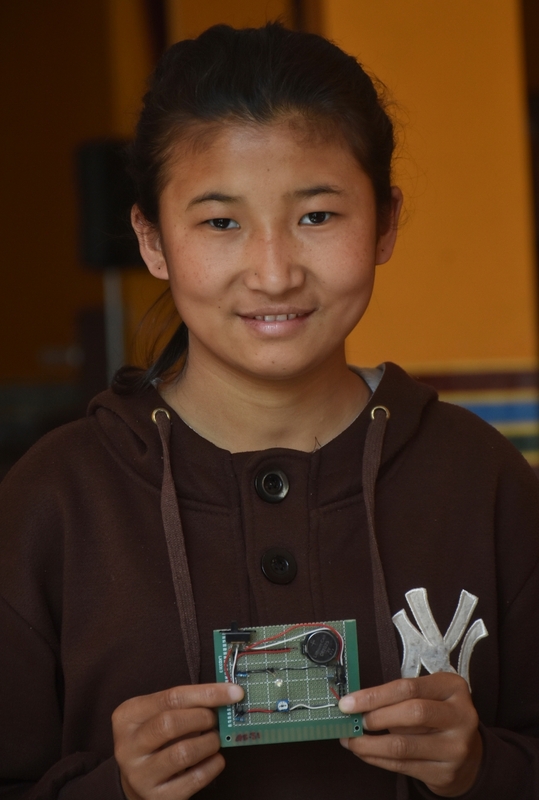 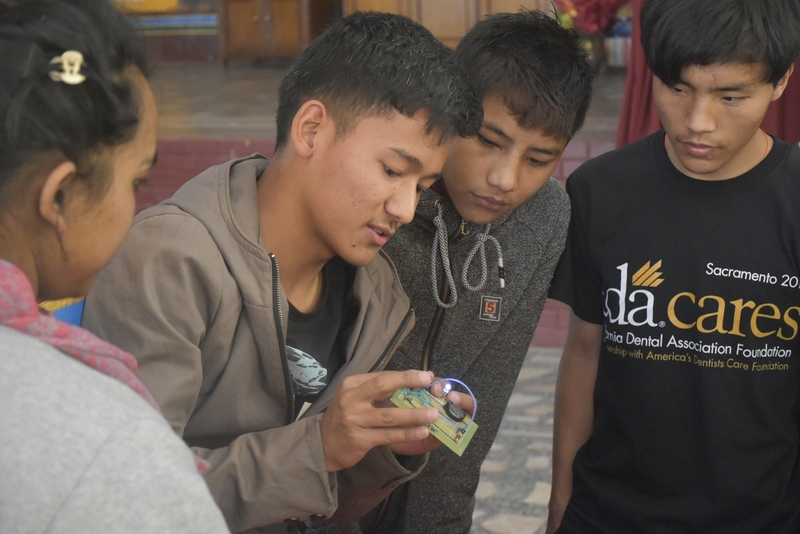 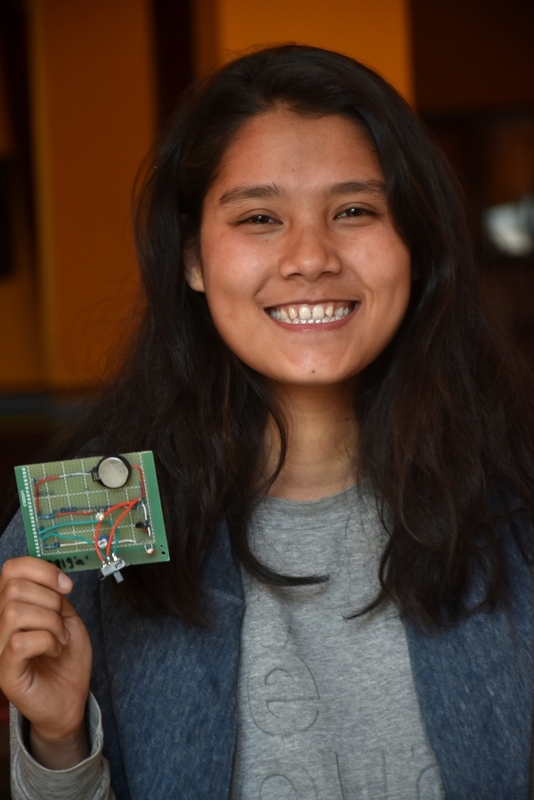 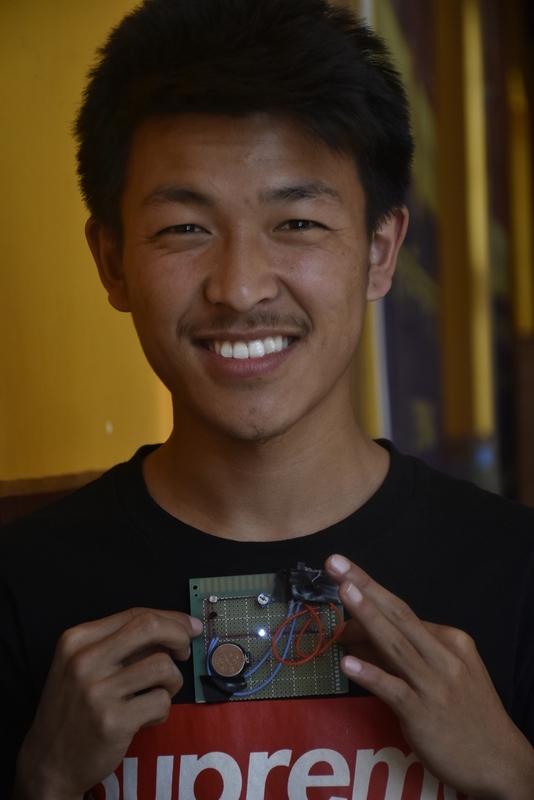 In November 2017, Himalayan Makers Guild (HMG) members learned to create night-light circuits. 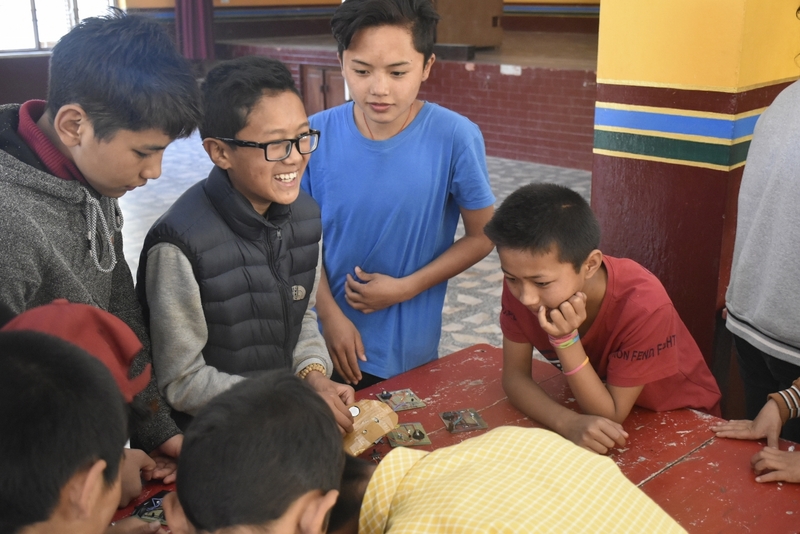 It was the most challenging activity to-date, and as of January 2018 only 6 of the 38 students who participated in the activity had completed the circuit. 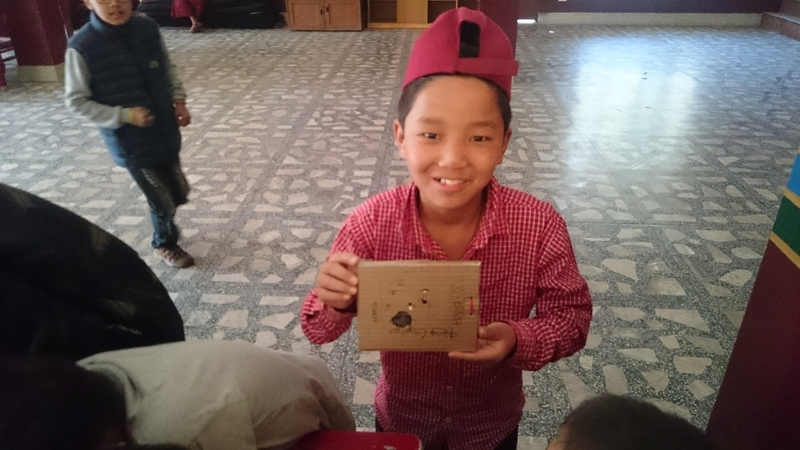 Since then, a total of 30 students have successfully built and tested the circuit, spending their free time to complete the project and add their own personal touches. 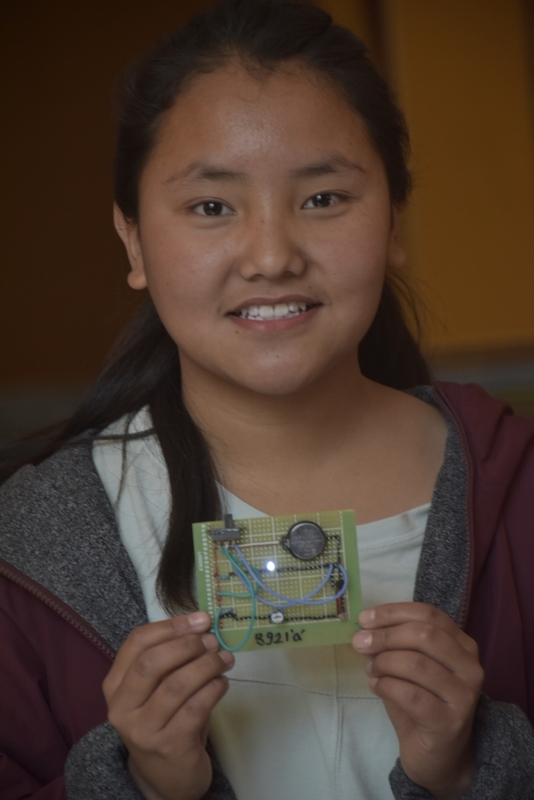 Some students used cardboard and reflective food packaging to create cases for their circuits, while others tried to make the circuit smaller. 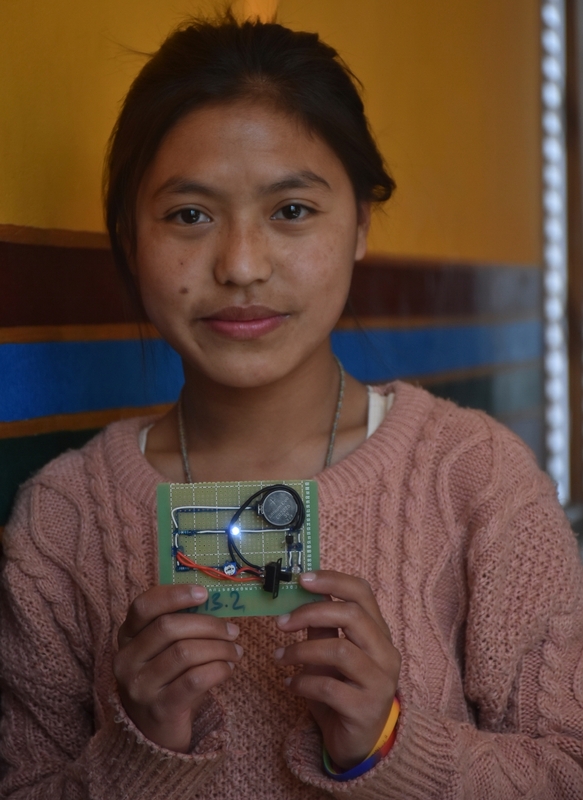 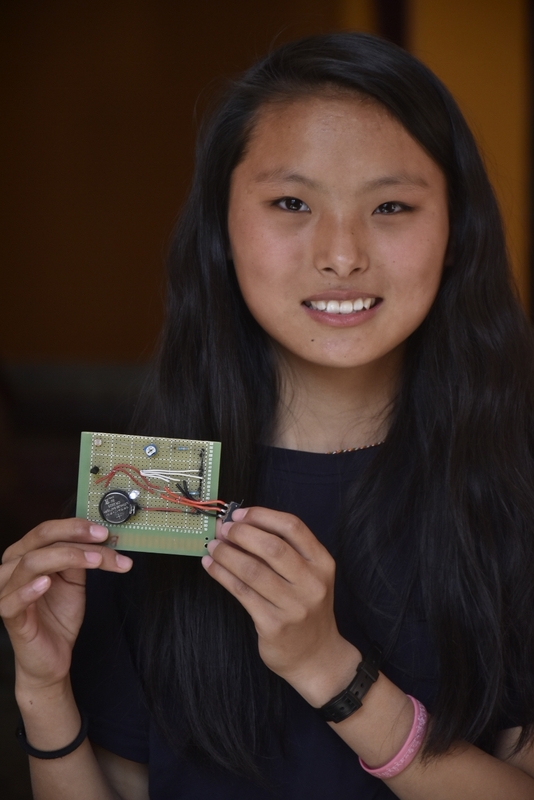 In March, the students presented their circuits to the school. 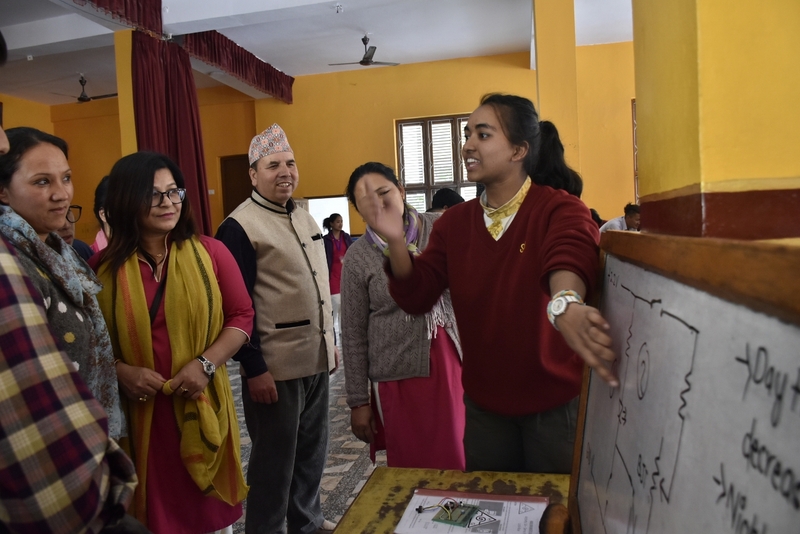 It was delightful to see them speak confidently about what they’d done, and to see the impression that it made on their teachers and classmates. 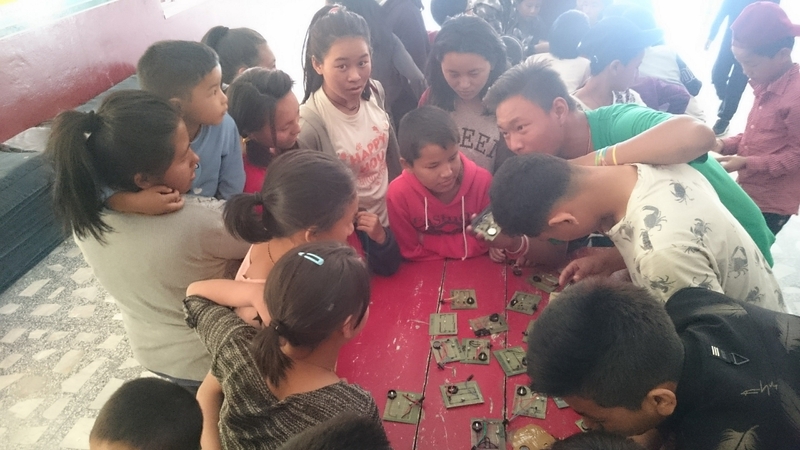 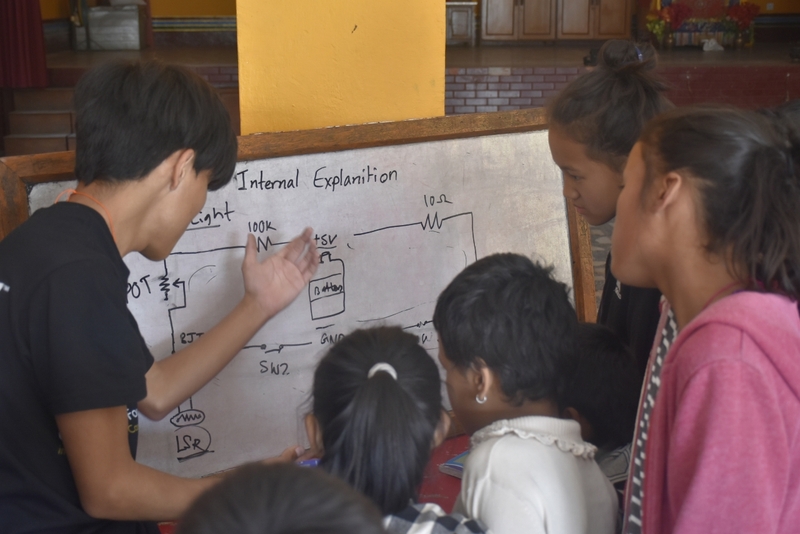 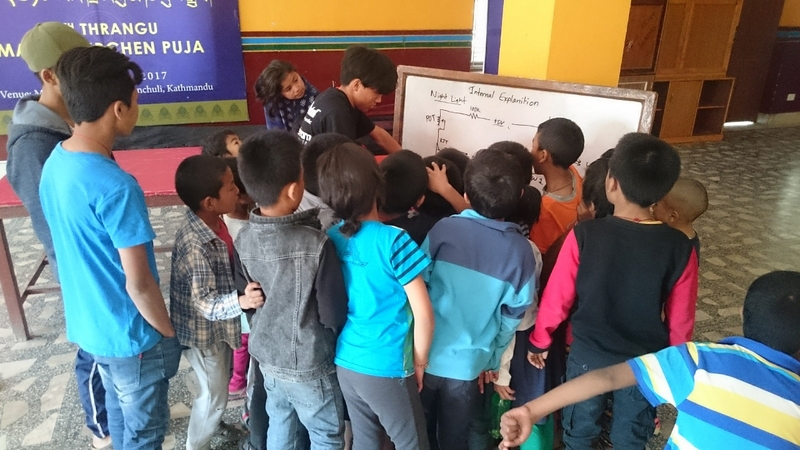 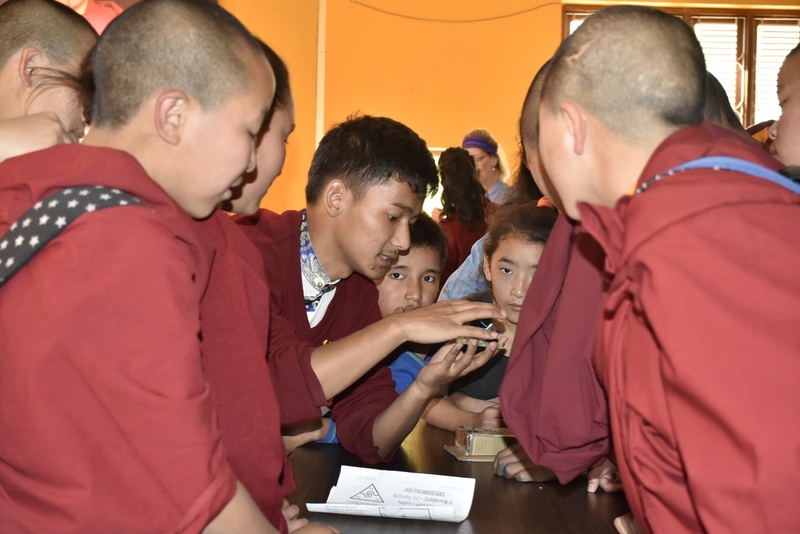 Gyaltsen Lama, a Grade 9 club member, demonstrates the night-light circuit to younger students. 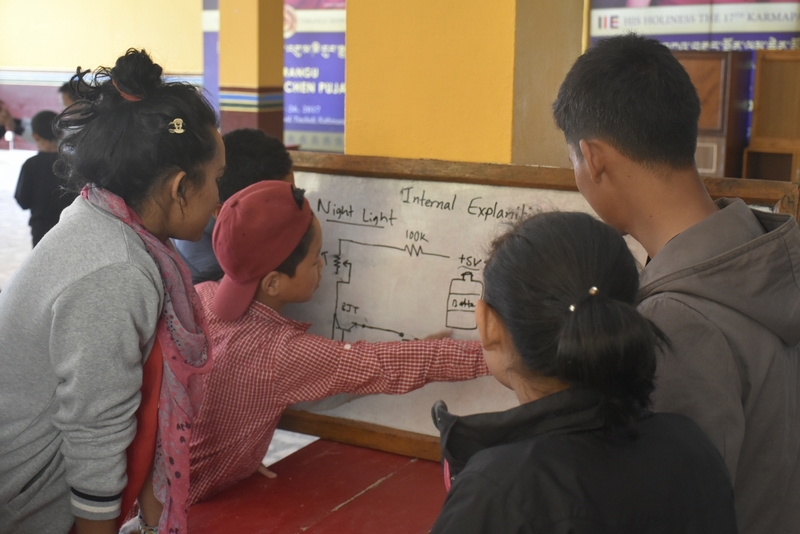 HMG Team Leader Karma Nyima explains the circuit to younger students. 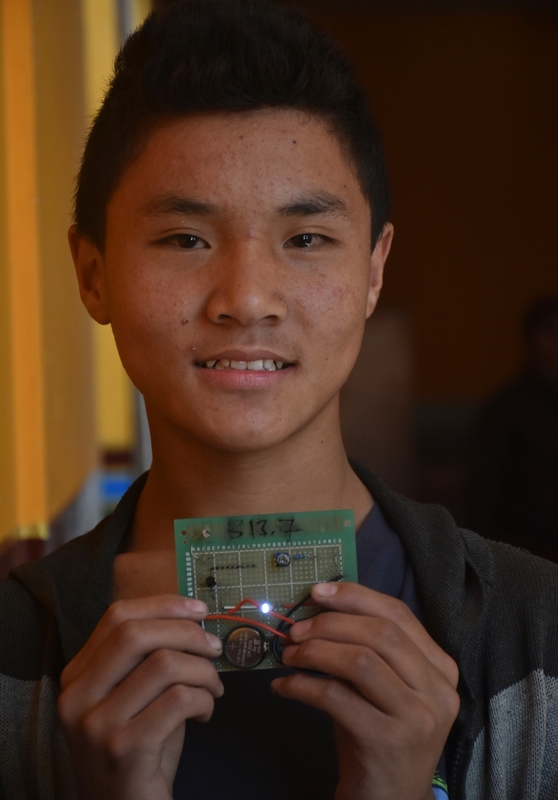 We celebrated the completed circuits with icecream!